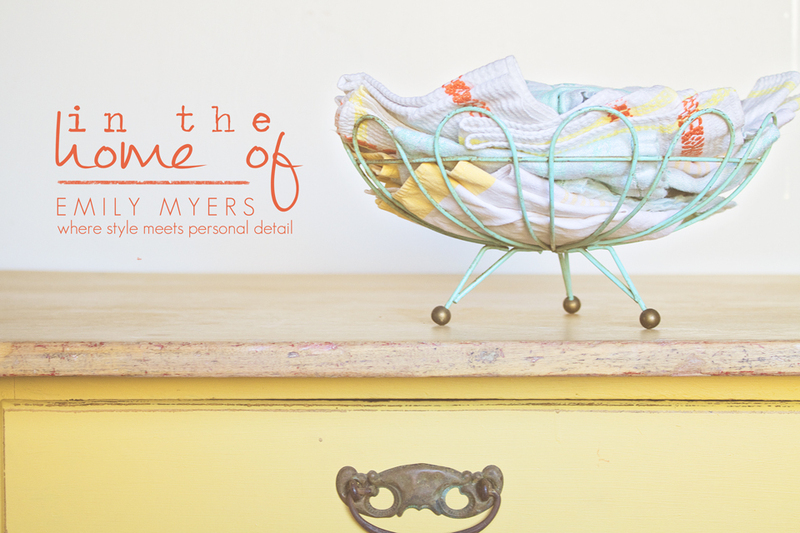 Stepping into Emily’s home was a one-of-a-kind experience. 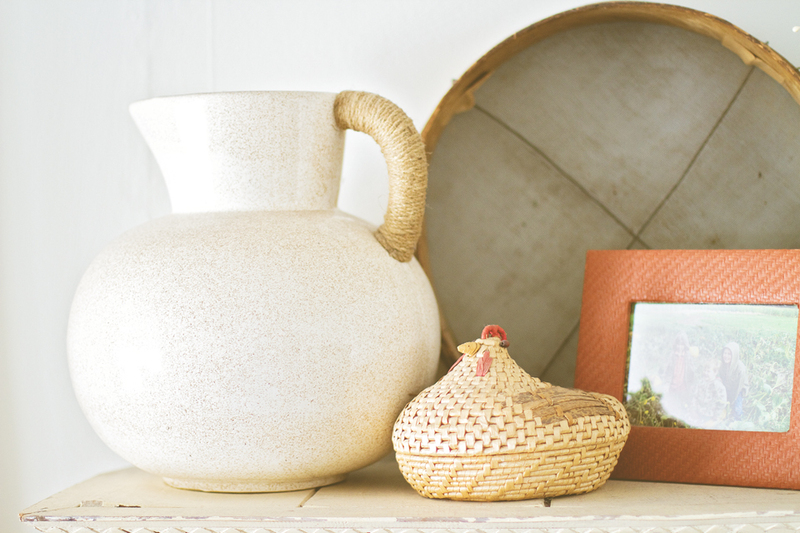 With each piece so uniquely displayed, we found ourselves wanting to know the story behind each item. Emily moved into her home four years ago & has put a lot of herself into it – this goes to show how much the little things, combined with personal touches, mean when working to make your house a home. 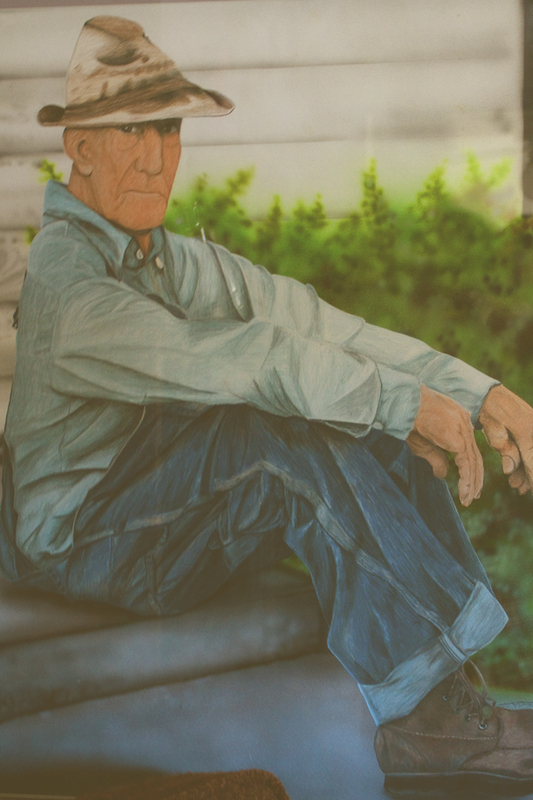 When you open Emily’s front door, you cannot help but notice the most amazing bench, which would easily cost several hundred dollars, at any commercial retailer! Hers – an old bed, purchased for just $90. Emily & her dad used the headboard as the back of the bench, cut the footboard in two, to use as the sides, added some wood for seating, & voila – this grand bench for much less! 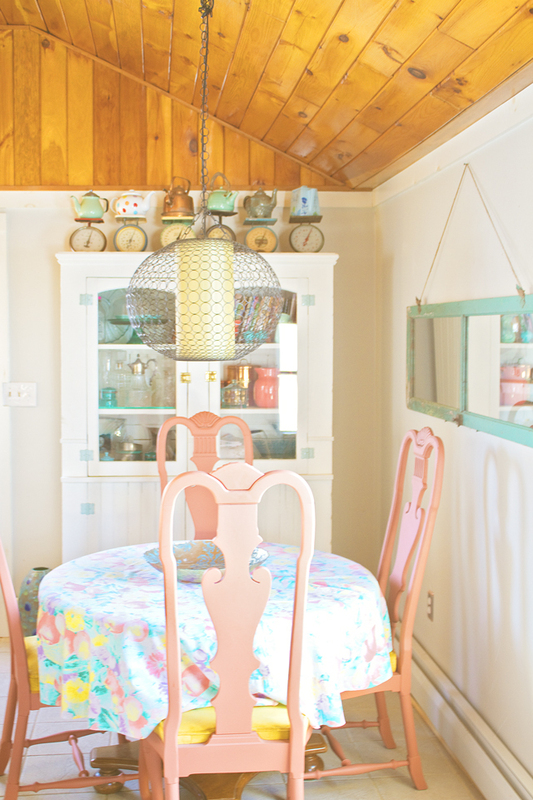 Her kitchen is immediately eye-catching! 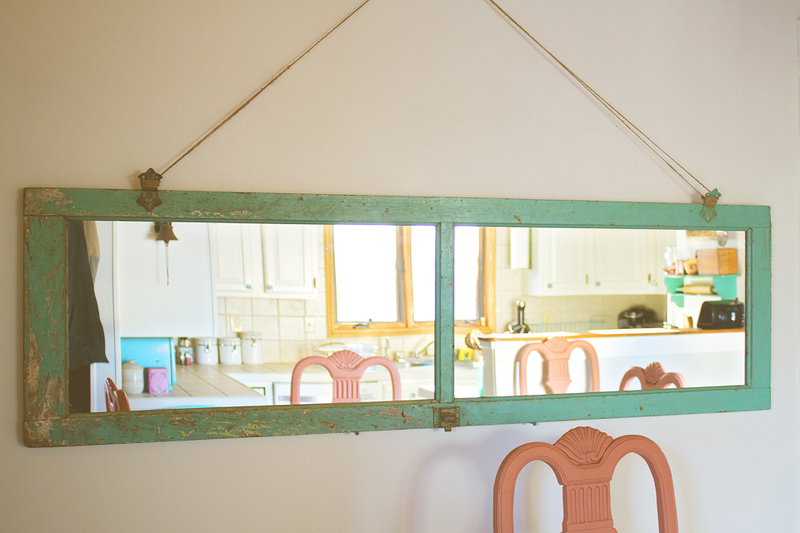 Hanging on a wall is an old pantry door that Emily cleverly decided to add a mirror to! 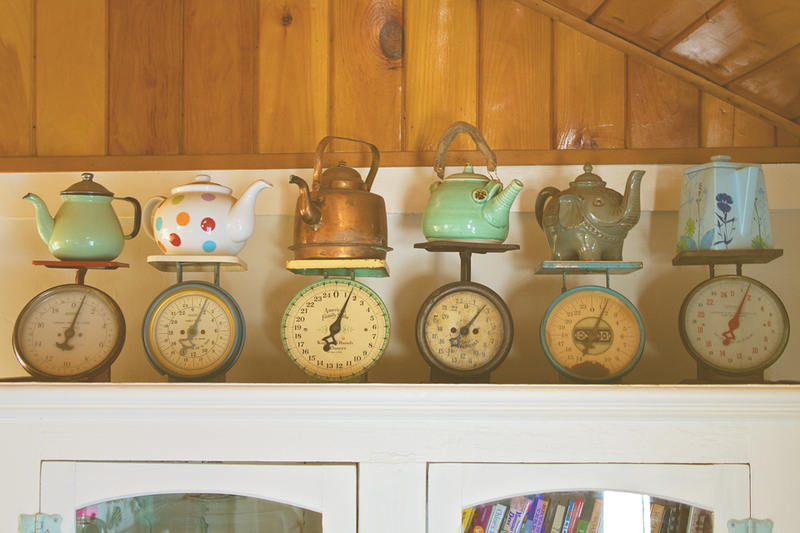 One thing we spotted & loved was the top of the hutch – a display of scales & teapots is adorable & so very vintage! 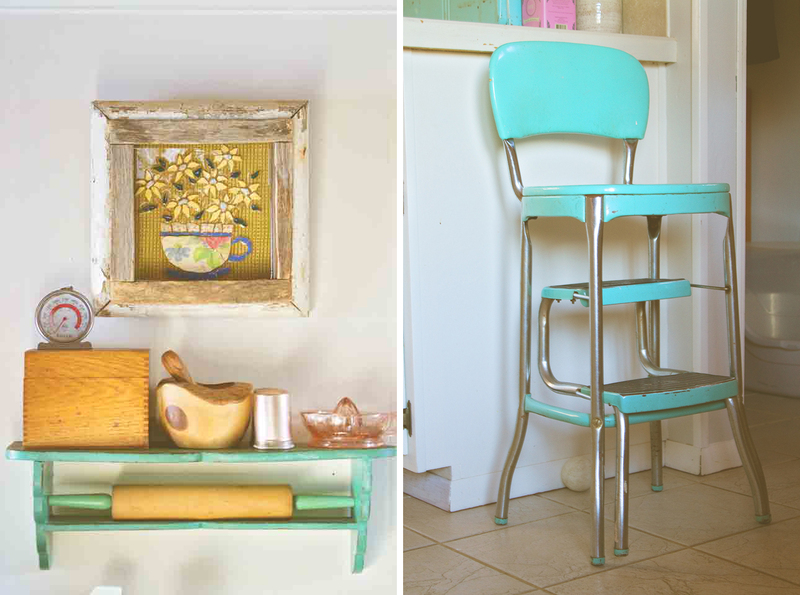 Heather’s eye was immediately caught by a vintage kitchen step stool chair, which Emily told us was once her grandmothers’! 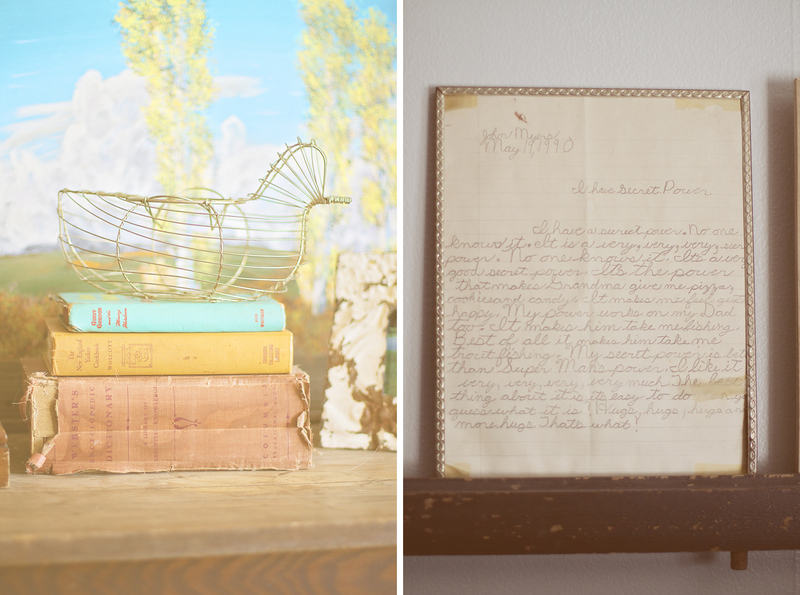 An old rolling pin & her grandmothers’ recipe box, filled with handwritten recipes, add subtle personal touches! 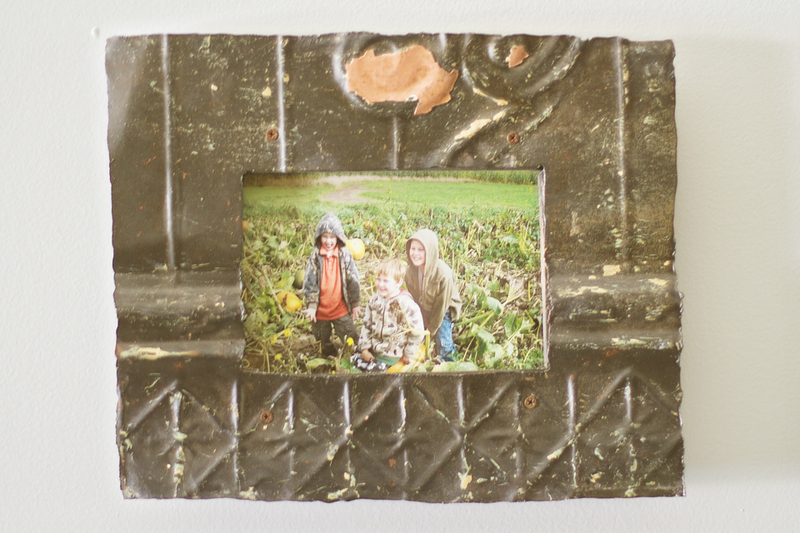 The last, & most exciting piece in the kitchen, was an old framed tile. When we asked Emily where she got this, she said it was from a bathroom, in a restaurant (that we won’t name), & when she saw it she thought “I cannot leave this stall without this thing,” and the rest is history! 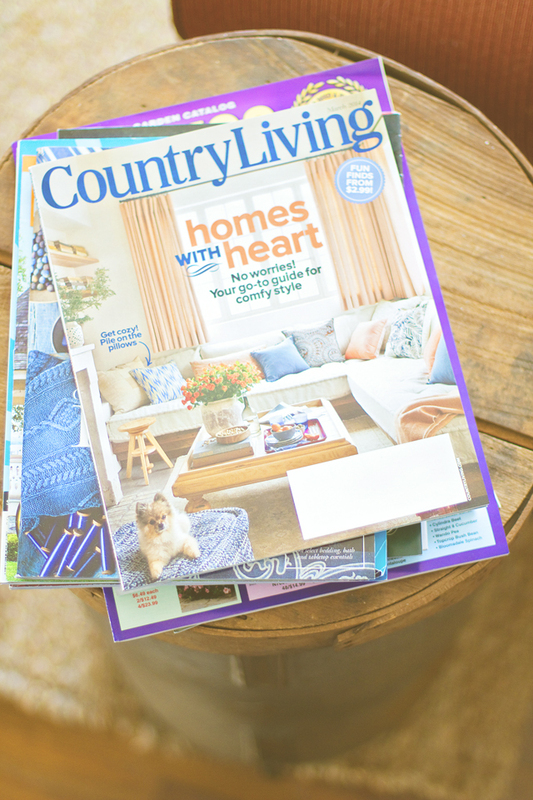 As you walk into the living room, you see so many things that you can’t help but love! 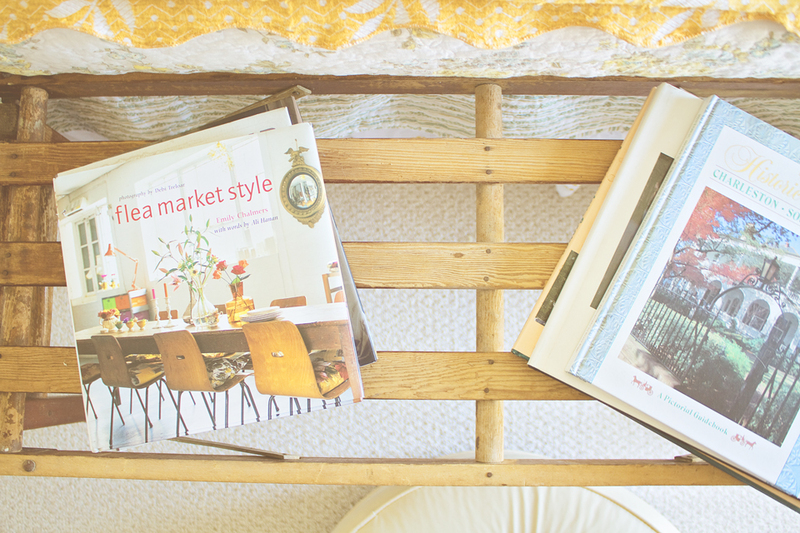 Her bookshelf is one of the first that caught our eye! 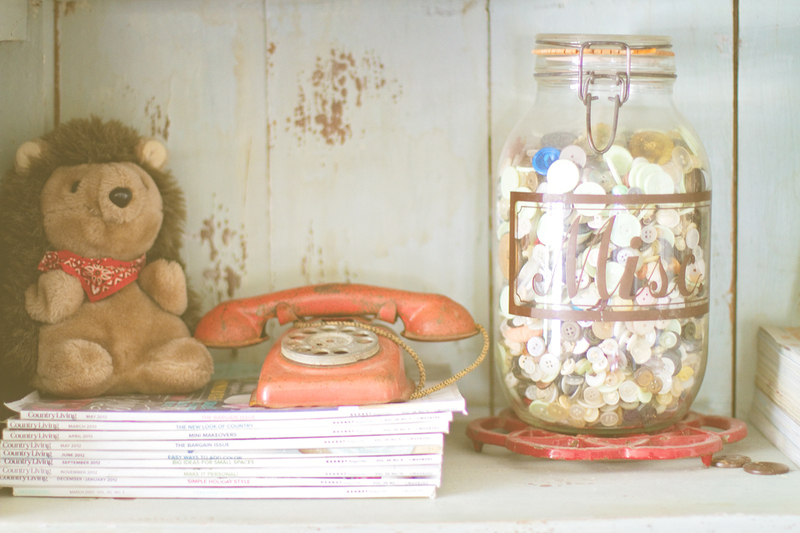 Ever wonder what to do with those old magazines that you just don’t want to throw away? Well, just ask Emily! She uses hers to perk up her shelf & add a bit of interest. 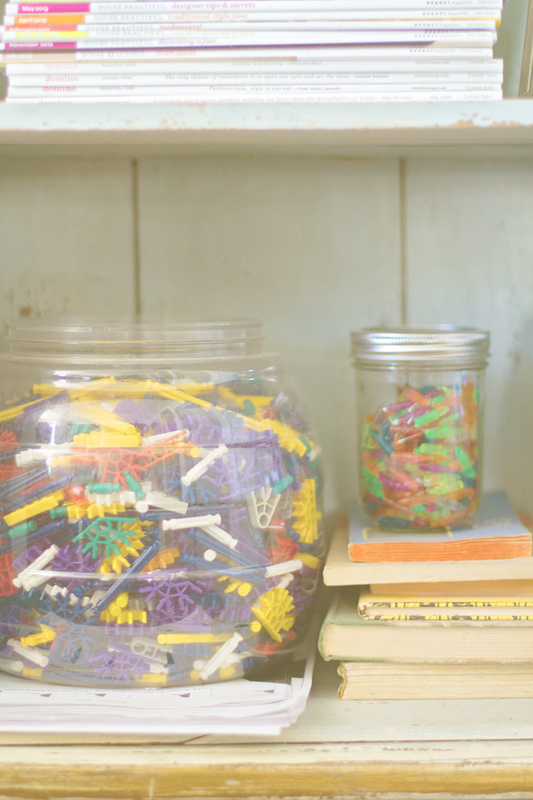 The button jar you spy is just another of Emily’s personal touches on her gorgeous home – Emily told us that they used to string buttons when they’d visit their grandma’s house, & so this is just another way to honor her grandmother! Other intriguing items that this bookshelf showcases are retro tinker toys, picture frames, & what appears to be a very old toy telephone. 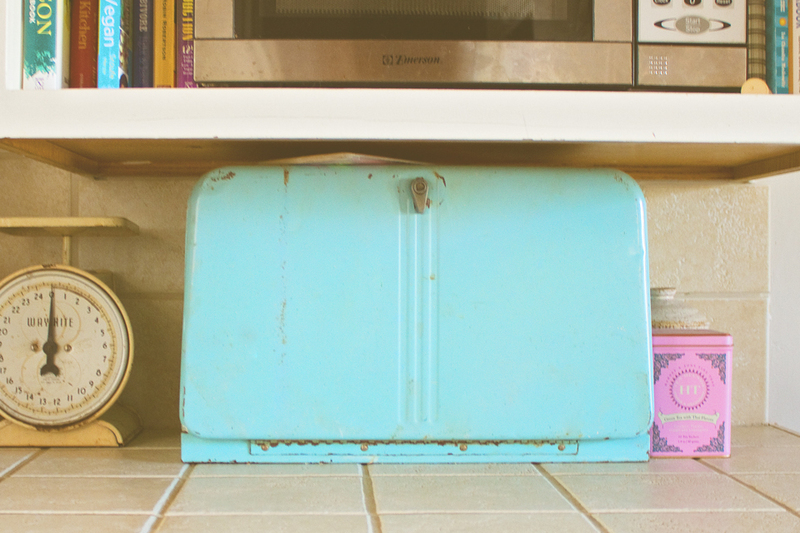 Emily added height to her bookshelf with vases & jars of varying colors, shapes, & sizes – oh, & one very cool vintage flour sifter! 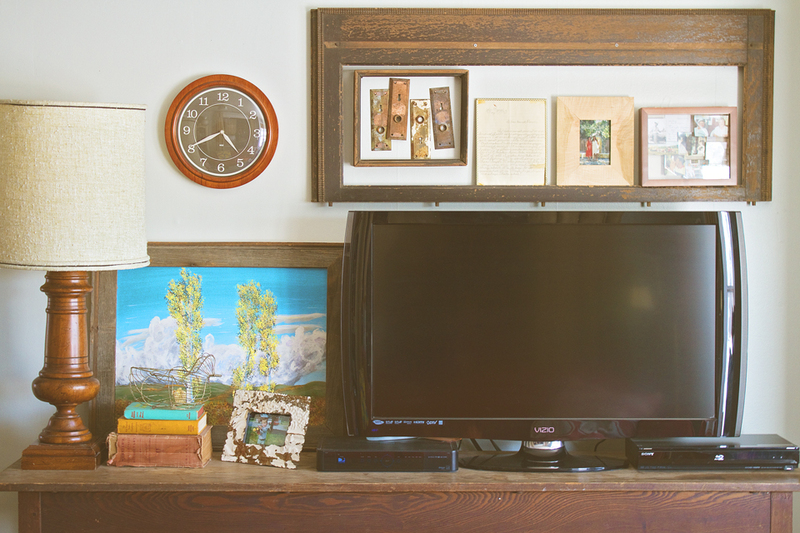 Above Emily’s entertainment console, she has utilized what she believes to be an old table leaf, missing the middle panel. 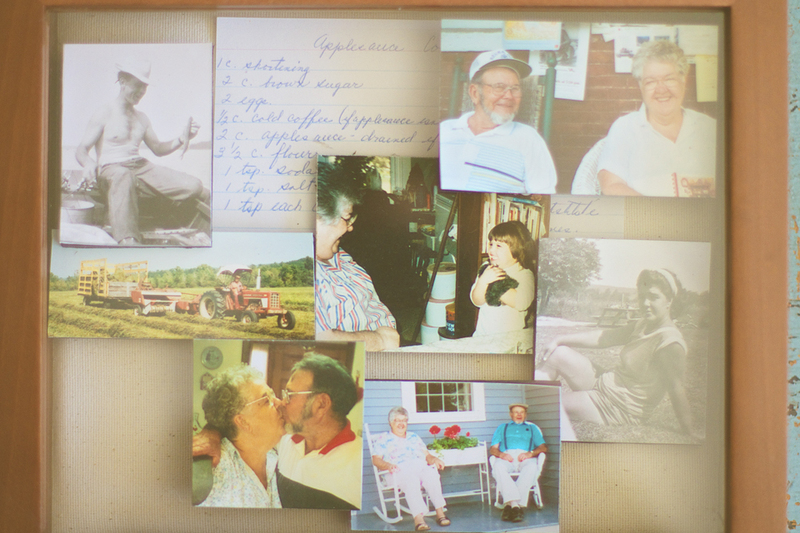 She has placed very personal items inside, which also are memories she has kept from her grandmother – things as simple as an old framed letter from her brother to her grandma, a shadow box including her grandma’s applesauce cookie recipe, photos, & old key plates. Other great finds in Emily’s living room included old books, & what is thought to be a cream separator, being used as a side table. 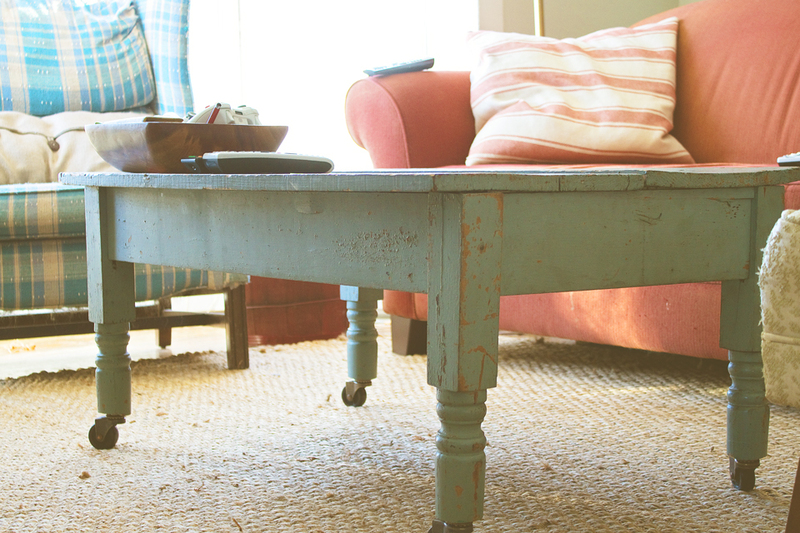 Emily also has an amazing coffee table that was once an old farm table – she simply cut the legs off & added casters! 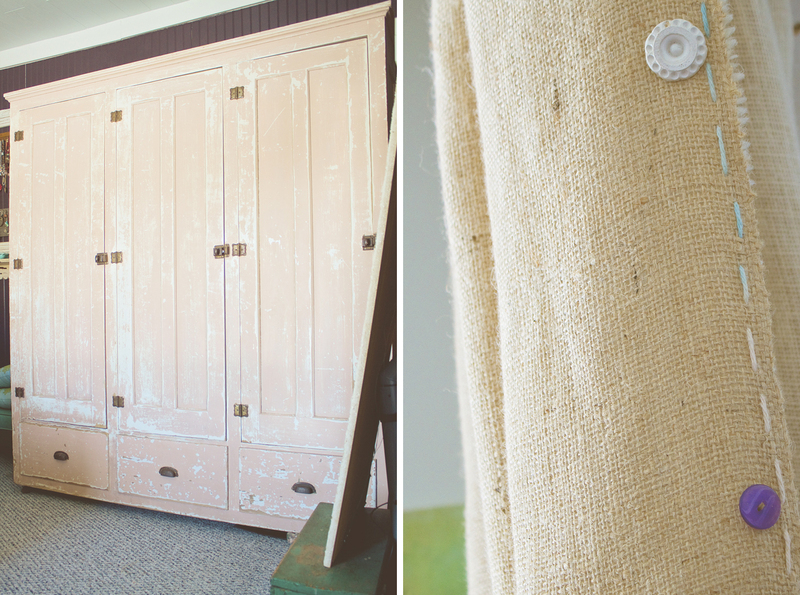 When you look behind the couch, you’ll see burlap curtains, complete with stitching & buttons, which leads the way to Emily’s bedroom. 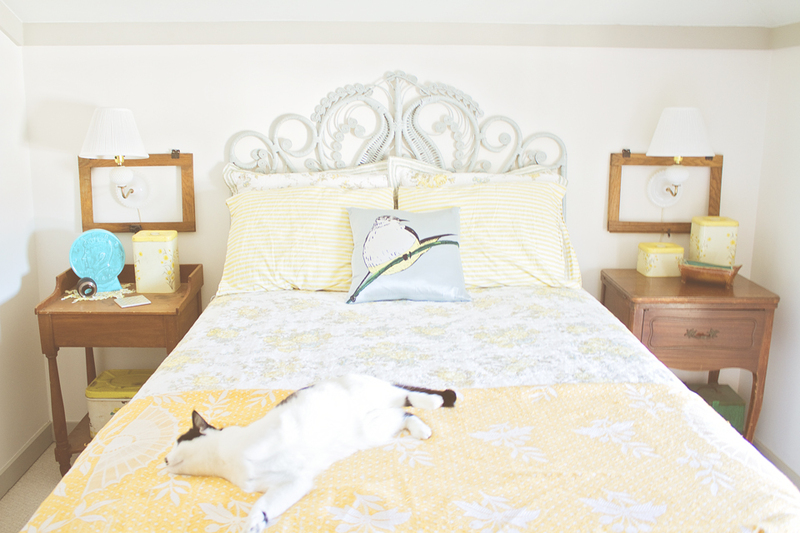 It took a few looks around this bedroom to spot all the amazing things that Emily has acquired! 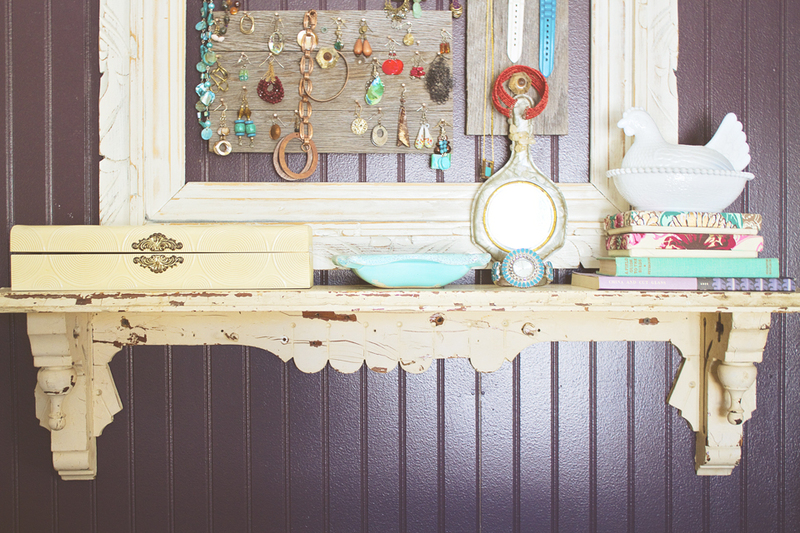 First of all, this girl has a jewelry display that just about anyone would die for, & we know you could make one too, using a few knobs from Trend Addictions! 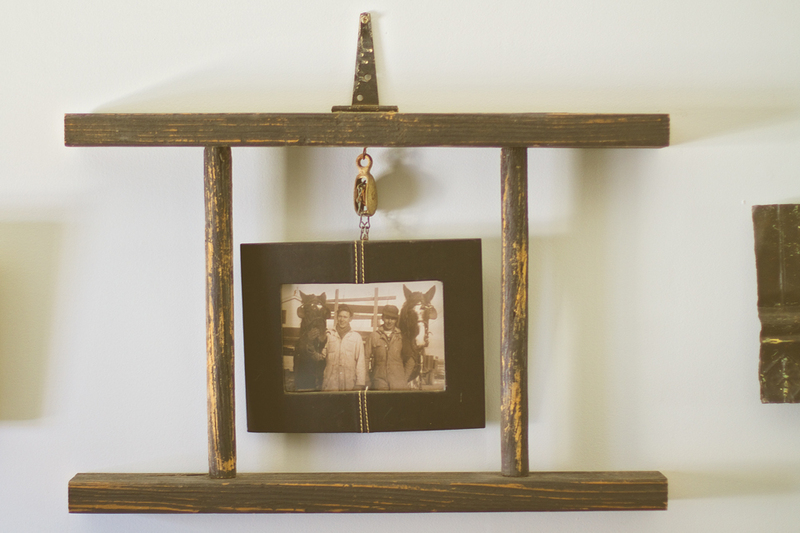 Emily has taken barn wood, added knobs & copper nails, & placed them inside an antique white frame – that’s all! 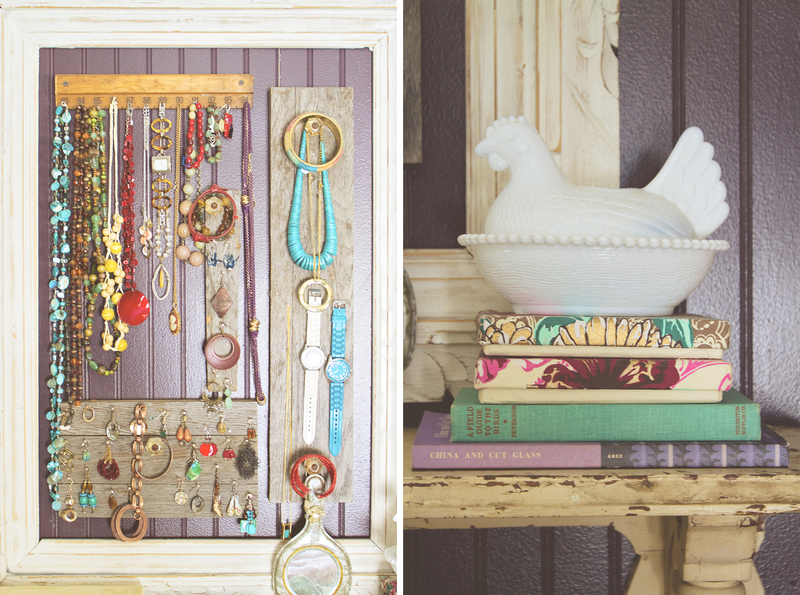 This serves as a great way to hang all of your jewels! 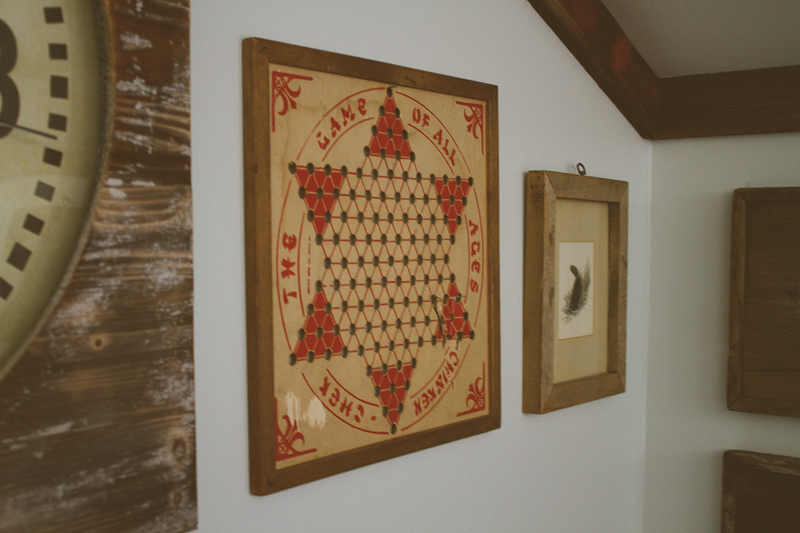 Above the barn wood pieces, we saw something we wondered about – Emily had the great idea to take an old fabric ruler, cut it down, add copper nails, & voila – a fabulous necklace hanger. 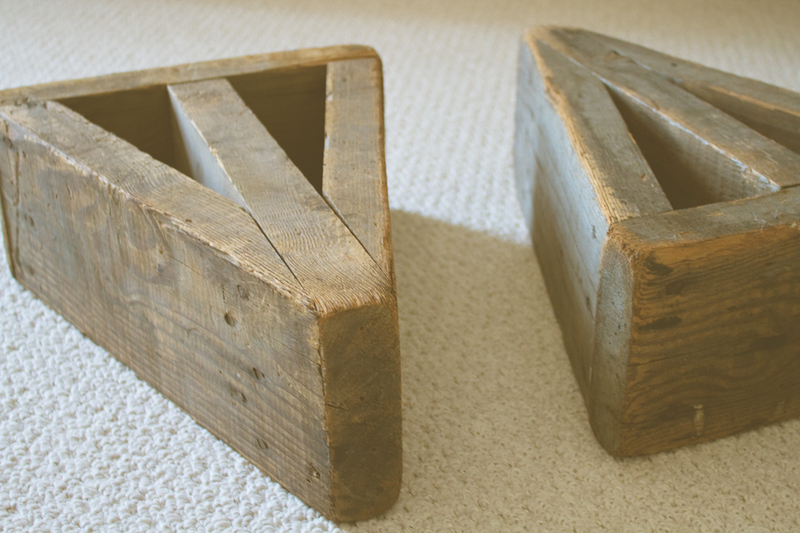 She also pointed out the box used for jewelry & trinkets underneath, which is simply an old men’s tie box. While we noticed that Emily’s bedside tables & mirrors are different, they are still balanced & quite stunning! The white trunk at the end of her bed was something she picked up in Rochester, but it was originally from overseas & was used for travel! 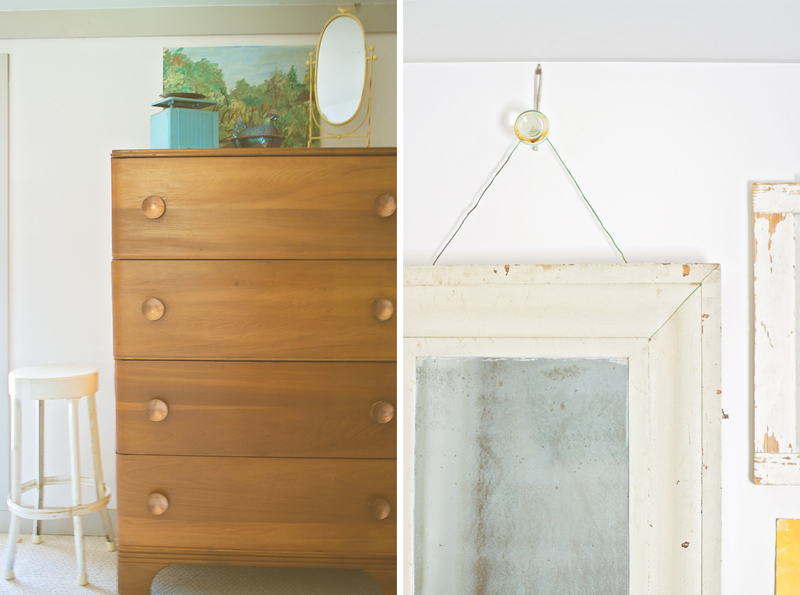 Emily’s “favorite piece in the house right now” is also in this room – it is a pretty pale pink wardrobe, which she found at the Salamanca Antique Mall! While most would refinish this, Emily left it as is, & we can’t imagine it being any more perfect! Ascending the stairs, at Emily’s, one thing that most definitely stands out is the amazing barn wood railing she has created! It only gets better as you emerge onto the second floor & find that the trim throughout the upstairs foyer is also barn wood. 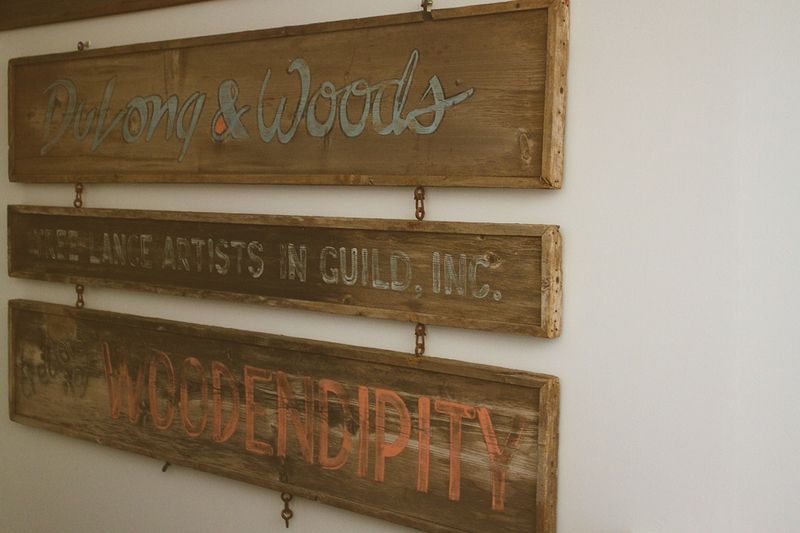 Emily salvaged this wood from a neighbor’s barn that had fallen down – just another personal touch in this fabulous home! We also spotted an amazing sign that took up an entire wall! The piece no one could miss upstairs was made by Emily’s aunt – simply an old wooden ladder, cut down, with amazing details such as the hinge used to hang it up & the pulley holding the frame! 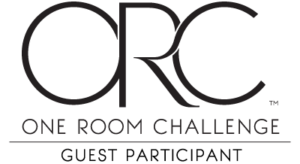 From there, we find another lovely room, with very different touches! 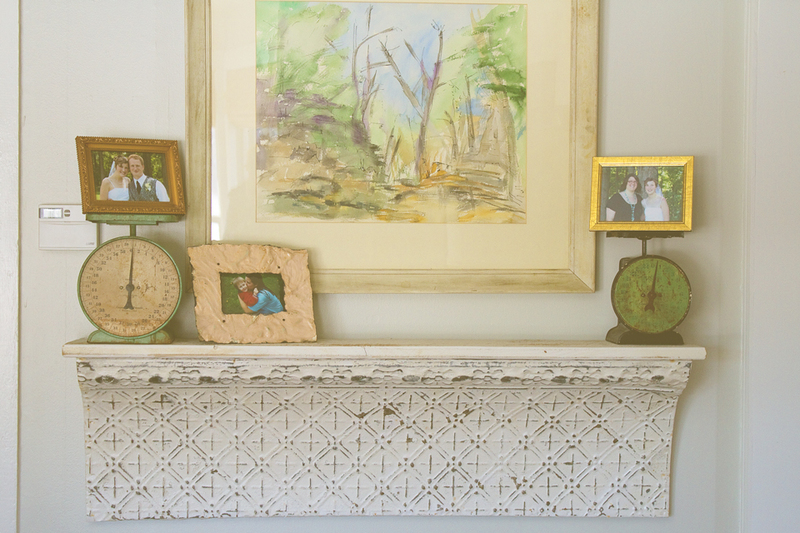 Most of the frames in her home are made from ceiling tile… what a great idea! 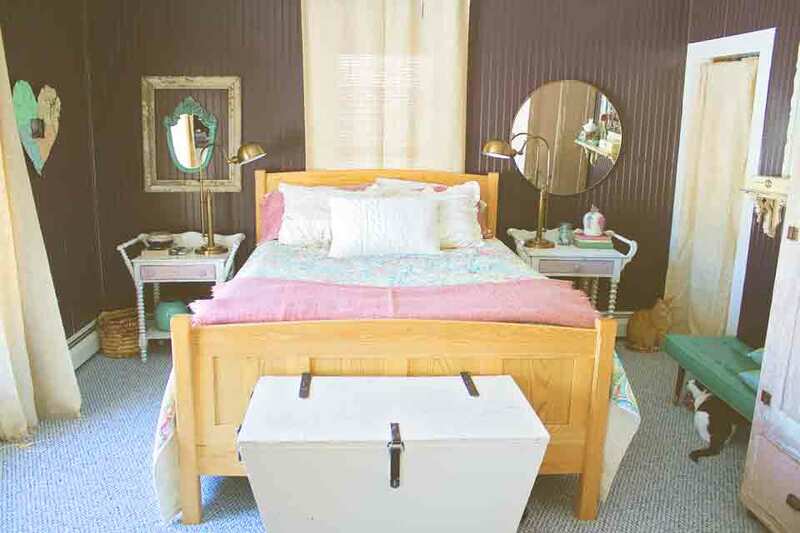 Emily’s spare bedroom is one that would make any house-guest feel right at home. 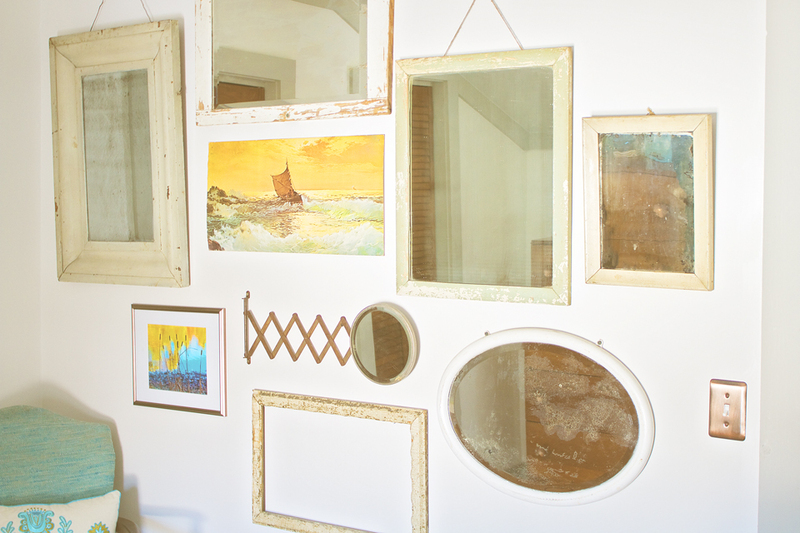 On one wall, she decorates with antique mirrors, frames, & lovely paintings that make you wonder “where can I buy that?” That’s just it – Emily picks up things here & there, at antique malls, thrift shops, & fairs – that, like the rest of her house, are truly one-of-a-kind. To give some detail to her adorable bedside lamps, she added small cabinet door frames around them, to which she attributed the great idea to our very own, Megan. The room boasts soft greens, blues, & yellows, & quirky accents like vintage tins & the penny bank make the room interesting, as well as tie in the color palette. 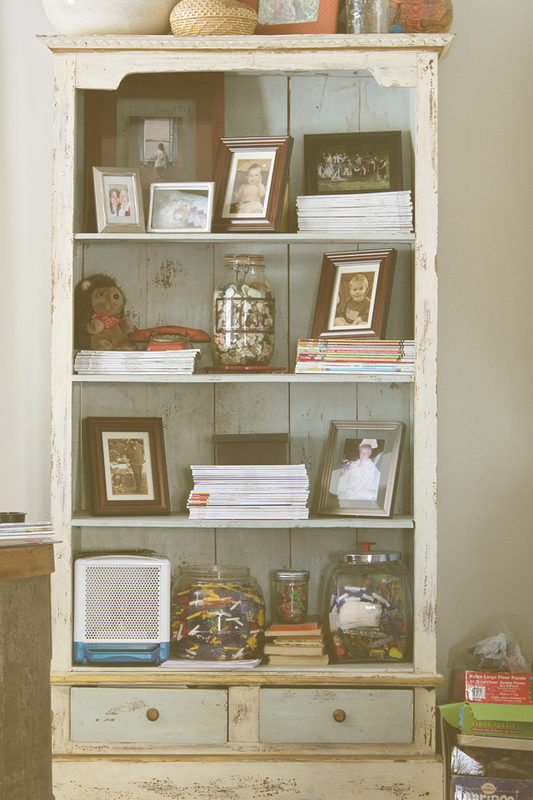 As we learned through most of Emily’s home, her grandma is everywhere, & that is not lacking in this room – the dresser & old sewing table, currently being used as a side table, were pieces of her grandmothers’. We also spied a few Trend Addictions’ finds in this room – her book at the foot of the bed, as well as the antiqued white mirror atop the dresser. 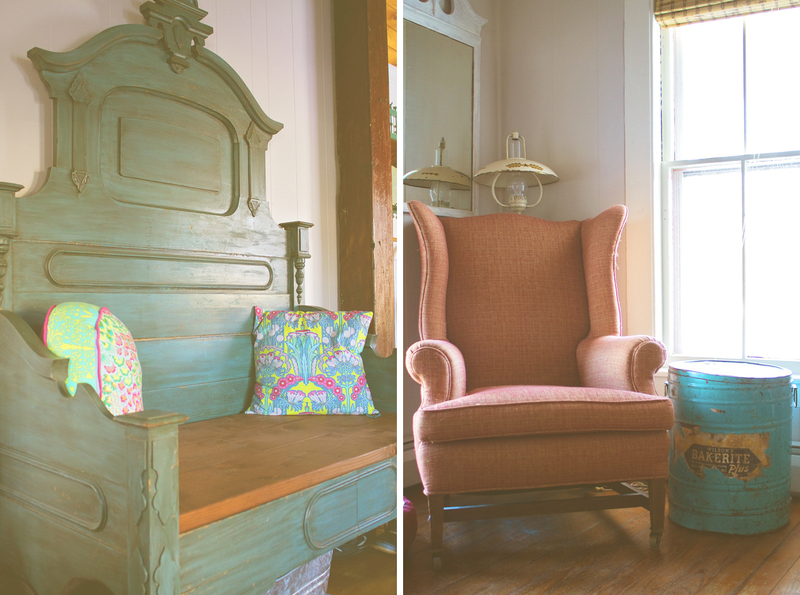 Emily is clearly overflowing with talent, when it comes to antiquing, decorating, & crafting, but she has a couple of talents that we were lucky enough to have her share with us! 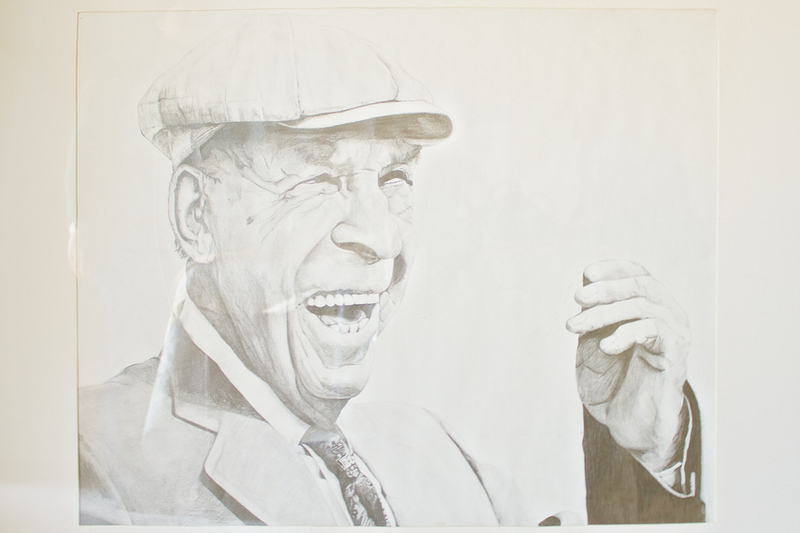 She showed us two pieces of artwork that she did when she attended high School at Cuba-Rushford & they’re simply amazing! We also discovered her talents as a photographer! 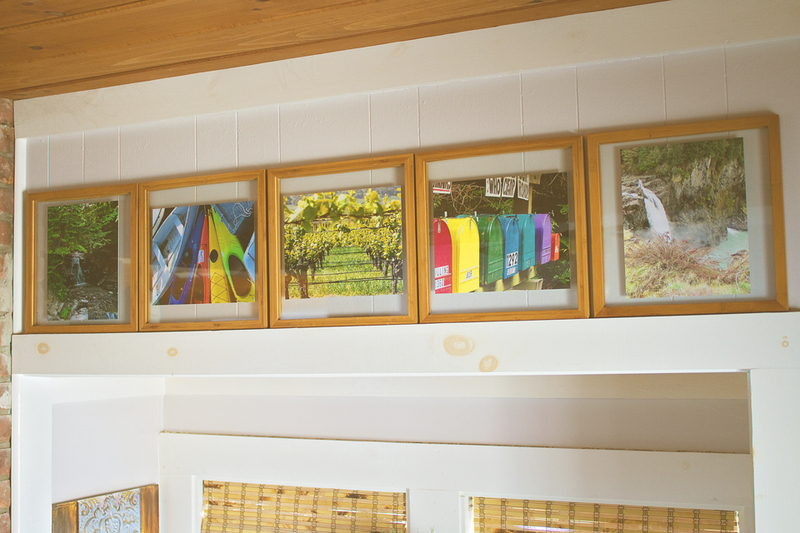 With more personal touches, these series of pictures were taken by Emily & are displayed in her entryway. 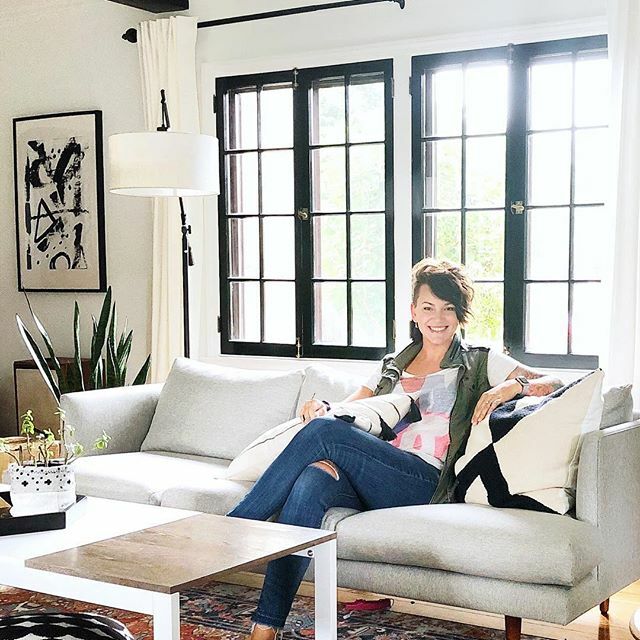 We were incredibly lucky to have the opportunity to peek into Emily’s home & we truly hope you take away some amazing ideas from this – we sure have! but is struggling to figure out what she should do with them – we’d love to hear from you! What would you use these unique finds for?! 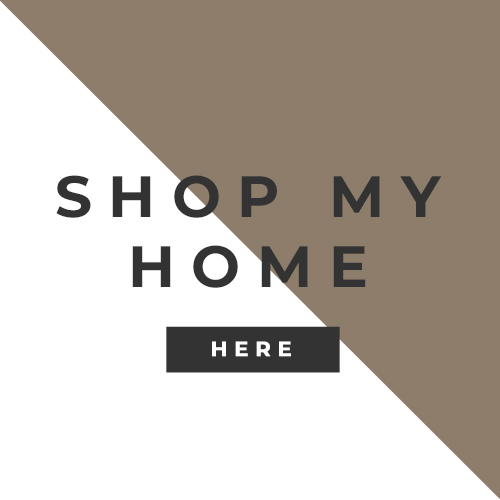 Did you have a favorite part of this great home? Leave a comment and let us know! Megan, So beautiful. I just love it and what sweet tributes to her Grandmother. So many great ideas. Thank you for sharing. 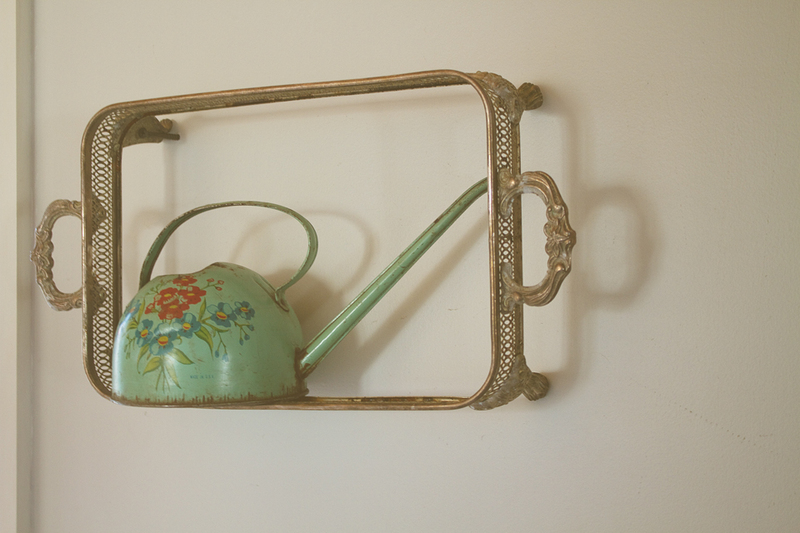 Sconces or to stand photos on! I have loads of ideas for that new find ~ but may keep them to myself~ maybe I can talk them away from her because she loves her Aunt soooo much!